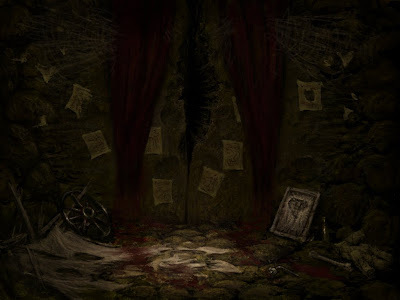 In The Games Of Madness: Amnesia: The Dark Descent gets a free expansion! Amnesia: The Dark Descent gets a free expansion! Amnesia on Steam now comes with with 20% more horror and 10% less cake. Enjoy this brand new flavor of canned horror - manufactured with license by Aperture Science. Damn my review copy! :P Perhaps portals to hell? Awesome! How do I play it? Huh? How do you get it?! Press the "Justine" button in the launcher to play! I bought the game from Frictional's store. Is there any way to activate my copy on Steam? The free expansion is not available for linux user? Is this exclusive for steam version? I don't know how to apply this update? I have the original game, but how do I get the new content? I've still not managed to get past the first chamber, damn you for being too scary. Great news to hear it won't be steam exclusive forever. I may dislike steam, but I like both Portal and Amnesia. I also like free extra content! But the normal game itself is working properly. why doesn't steam exist for Linux??? Dr_Yomismo: Choose english as lang and try again. Will someone explain to me what this has to do with Portal? Thomas hinted that the new content will be available outside of Steam later on. Hopefully free as well. I'm in the room where the guy walks around looking for you.. I can't get the door i went through to open.. and I circled the room a few times.. I can't find a way out.. after throwing a bunch of crap at the thing.. I gave up and let him end me.. help? I hope you'll have a download link for this expansion somewhere soon. Thank you, Thomas, now it works. Damn you, Thomas, now I'm so ******* scared. I'm just another disappointed linux gamer who can forget about this expansion pack. I want to, but I am afraid I am too afraid. Ironically. I bought from Frictional directly because I wanted to support the dev. Why don't we get the addon? A new expansion pack for one of my all time favourite games? YES!! No, wait, steam only. This is so disappointing :(. When is it going to be released for the rest of us? 1) I have already have Amnesia, buy on the Frictional Store. Thanks for the free expansion! Also, is there any way that I can donate directly to Frictional Games? I already have the games, I wouldn't want to buy them twice. Is there any way to make a direct monetary donation? I'm still not buying Portal 2 unless it comes out for Linux. could you atleast give us a hint as to when it'll be available for the non steam purchases. I think it's kind of mean to release it on steam first and then make us wait, when we bought it straight from you guys. What we need to buy? amnesia (7.50€) or potato sack (34.47€)??? Only need to buy Amnesia, no sack needed. I have the Linux version of Amnesia. I thought that the April the 1st post was just a joke, but it was so much more! You crazy people from Frictional, and your other crazy accomplices!!! Why weren't we informed of this ARG-thing?! For all who are wondering were the deleted post and the game expansion all about, read this. To the Linux users - do not worry, and actually read the article. It may seem a little bit like we are being treated as second class citizens because of the lack of Steam, but they said they will get it working on the other versions, and that in the end is all we could ask for. That bit was added just today. When exactly does Justine come out for non-steam versions? I have waited for far too long, me and my friends want to be terrified again! Since Portal 2 is released, hopefully a save feature would be added making online let's plays more easily done. I enjoyed the DLC, despite feeling the ending to be a bit rushed. Perhaps had this been more psychological and that in the end, we have a final confrontation with the father (in Justine's mind and thus sealing her demons) then this DLC could have been it's own game. Yaaa... Gimme some Horror, baby!!! Y U NO DEPLOY SURPRISE?! !